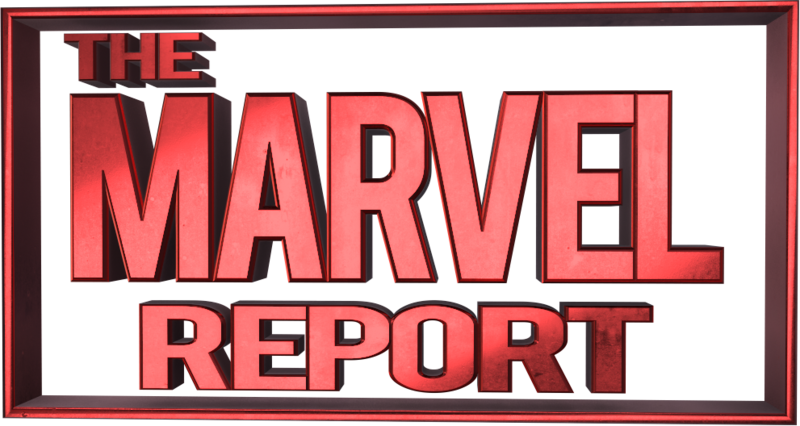 Story: Brian Michael Bendis is a great writer. When he’s writing his favorite characters he’s a spectacular writer. 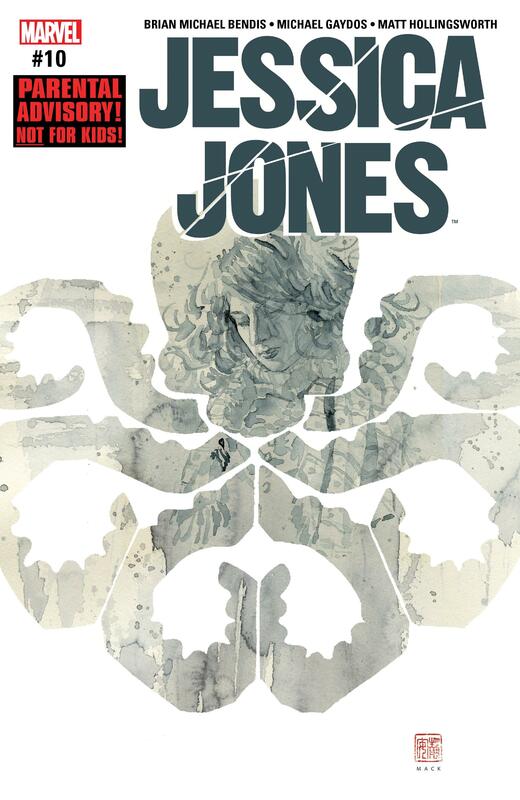 His fun really shows itself in titles like Jessica Jones, a character he cultivated years ago with the Alias series. Jessica has the kind of personality that readers can both love and loathe, depending on what’s going on in the story. She’s a patchwork of complexity that most people can relate to on some level, even if they aren’t of the same mind as her. Her solo series dives into that, and that’s what makes it so good. 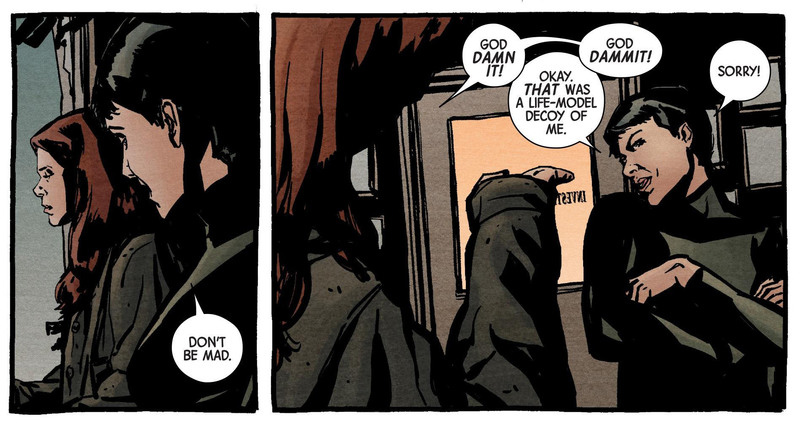 The interaction between Jessica and Maria in this comic highlight everything that’s wrong with S.H.I.E.L.D. as an organization. They are spies. Spies are excellent liars. So much, that it’s likely best to assume that everything they say is going to be a lie. This doesn’t refer only to Maria, as Jessica points out multiple times, but also to the rest of the organization. They infringe on people’s privacy when they find it acceptable. They tell people what they can or cannot do, and given enough power, they will play God, because they think that they are worthy to be one. I love how much Jessica recognizes this and hates them for it. Maria uses Life Model Decoys to do her business, which I have always found somewhat problematic when used as a story element because it always seems like an easy out. With Life Model Decoys, you can almost always “kill” a character off without killing them. 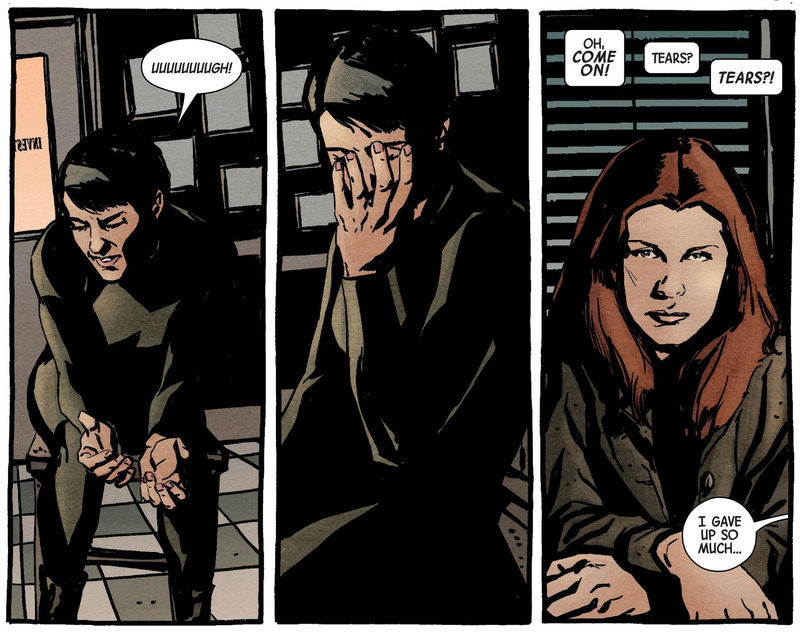 In Jessica Jones #10 this happens in a few epic pages, but the shock is stunted because you know the “real” her is just going to walk out… and then she does. As much as I don’t like Life Model Decoys, the fact that Maria was one (forcing it to cry and everything) caused Jessica to flip out again. The issue was packed full of thick conflict and made for an enjoyable read. The cover art also summons a tinge of nostalgia given how it looks like the older series. David Mack is a monster on the water colors, and every one of them looks like a poem in picture form. This one features the hydra symbol, and even though there’s no heavy mentions of Secret Empire or Hydra’s control of S.H.I.E.L.D., the implications behind the cover are clear nonetheless. I hope that he remains the cover artist for the duration of the series. Verdict: Jessica Jones #10 was an issue chocked full of tension and questions, but it did feel like it was on the short end. I noticed more than the average use of double splash pages. I’m not particularly upset at this, but I did feel like more could have happened here. This, however, doesn’t take away from the quality of the book. Jessica Jones #11 is on my radar.